Offering a balanced but always grounded perspective, this collection combines analytic narratives of existing virtuous circles and how they were established, with an analysis of the global evidence. In doing so the authors explain why governance is so resistant to change, and describe the lessons to be remembered for international anti-corruption efforts. Exploring the primacy of politics over economic development, and in order to understand how vicious circles can be broken, the expert contributions trace the progress of countries that have successfully transitioned. Unprecedentedly, this book goes beyond the tests of different variables to showcase human agency on every continent, and reveals why some nations make the best and others the worst of the same development legacies. 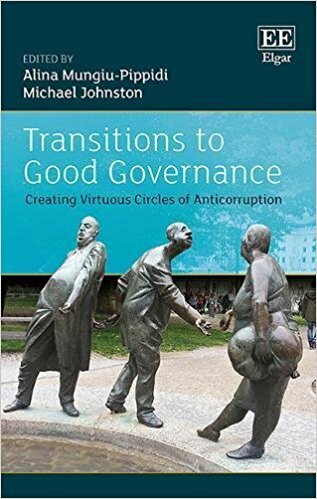 This comprehensive examination of virtuous circles of governance will appeal to all scholars with an interest in transitions, democratization, anti-corruption and good governance. Policy-makers and practitioners in the fields of international development, good governance and democracy support will find it an invaluable resource.